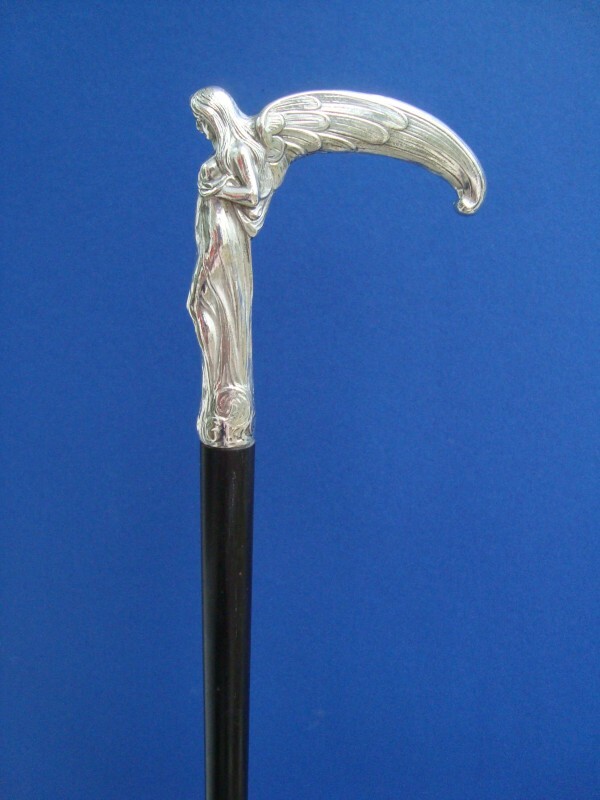 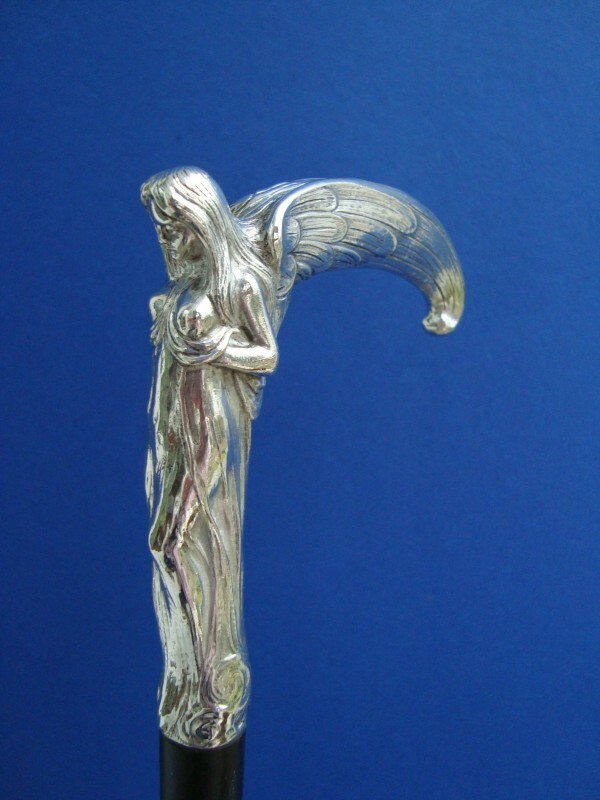 Walking cane with an silver angel, Art Nouveau around 1900. 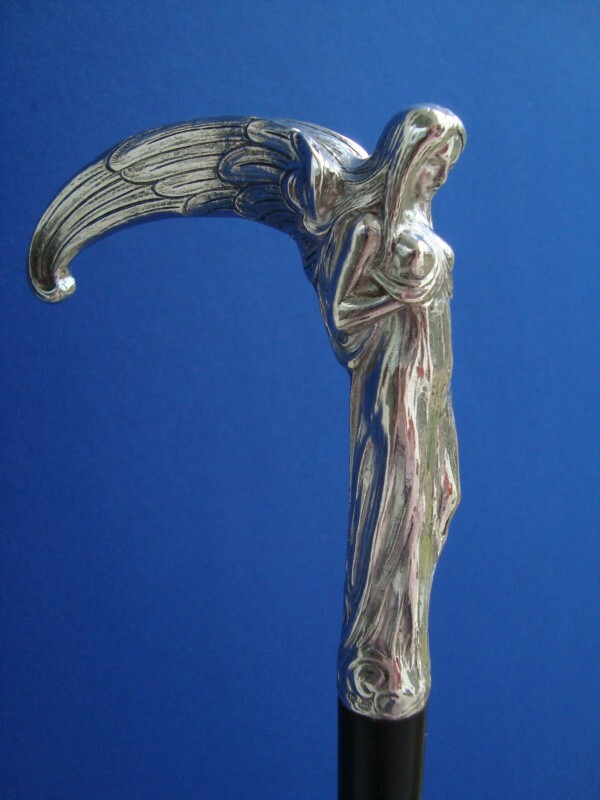 Hallmark: 800, Germany. 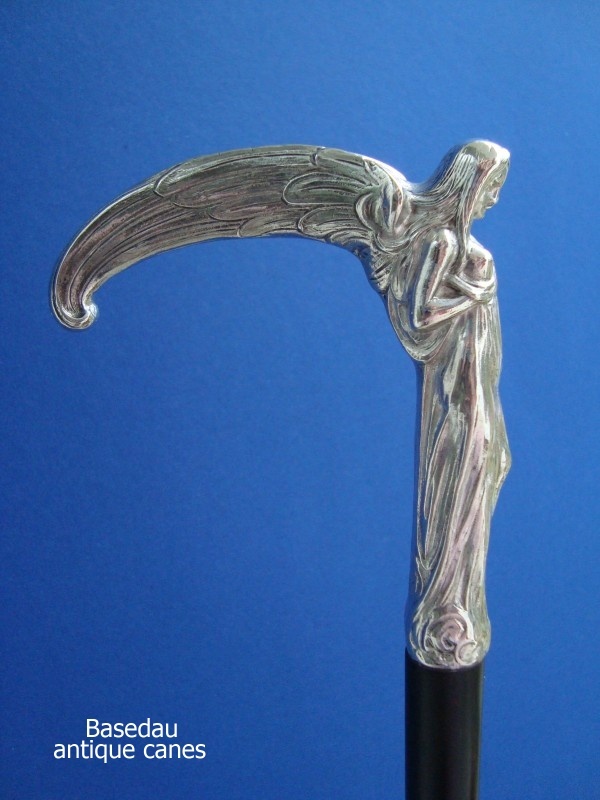 The handle is fitted on ebony shaft with a brass ferrule. 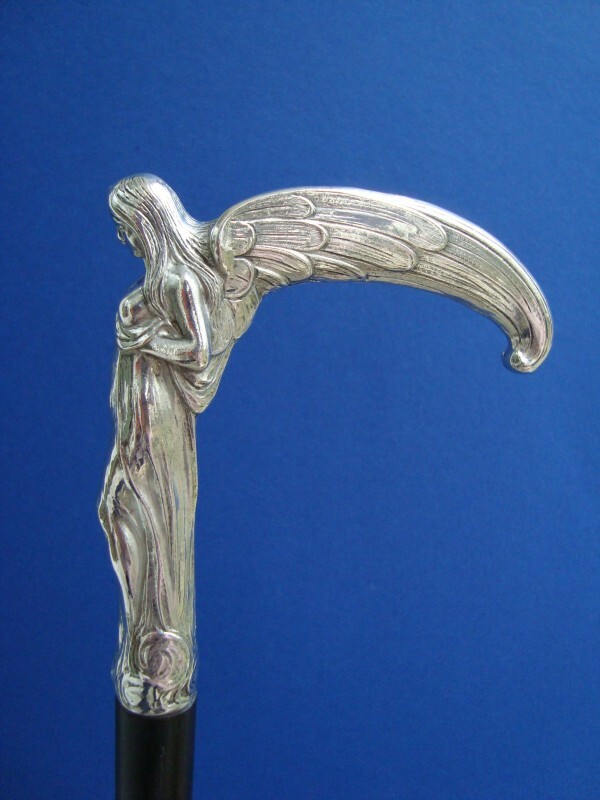 Measure of the handle: H.10 cm, 3,9 ", W. 9 cm 3,5", overall length 84 cm, 33"